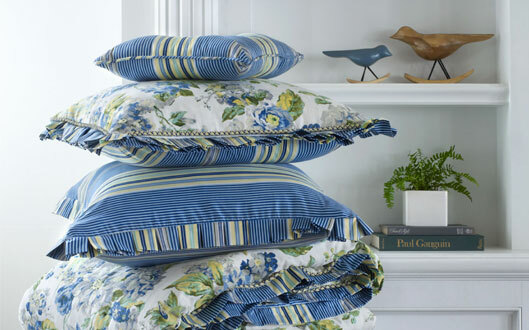 Launched in 1923, Waverly is a premier home fashion and all encompassing lifestyle brand and one of the most recognized names in home furnishings. Its signature look is expertly translated into countless classic styles among home furnishing products including fabrics, wall coverings, bedding, window treatments, decorative accessories and other key products. Waverly is available through retailers and interior design showrooms in over 12,000 doors nationwide. Its family of brands consists of Waverly, Waverly Home, Waverly Home Classics, Waverly Baby, Waverly Inspirations (at Walmart) and Waverly Sun N Shade. Key vendor partners include PK Lifestyles, York, Ellery Homestyles, and Nourison. Iconix Brand Group bought Waverly in Nov 2008.